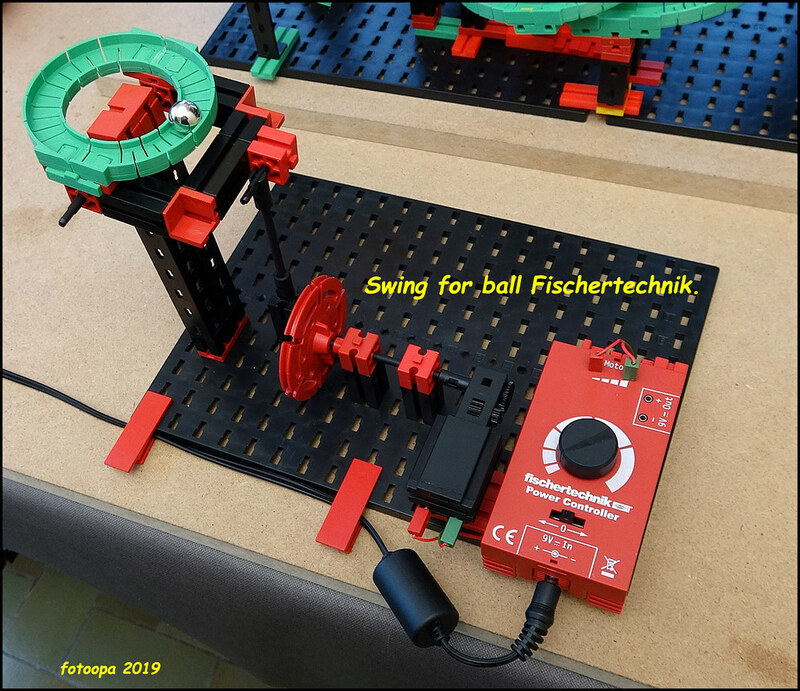 fischertechnik community forum • Thema anzeigen - Swing for Fischertechnik ball. An addition to the flex rail, a swing for the balls of Fischertechnik. It doesn't always have to be difficult. But you can still ask yourself whether you can make the swing run even better with a certain profile on the rotating shaft. I really don't know how you could calculate this for an optimal swing. The profile can then be printed in 3D.